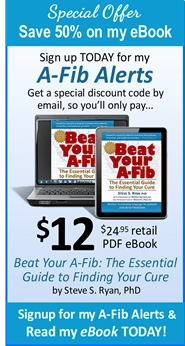 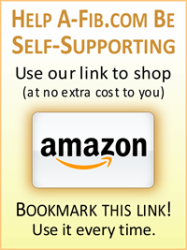 “Anyone in A-Fib is almost certainly magnesium deficient. 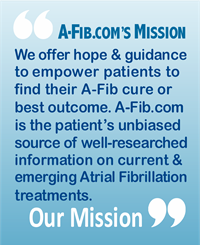 Steve Ryan, former A-Fib patient, cured since 1998. 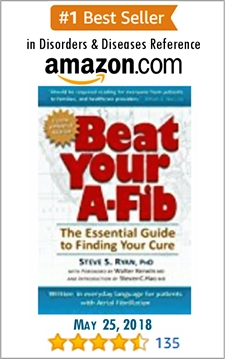 Deficiencies in Magnesium and Potassium can force the heart into fatal arrhythmias. 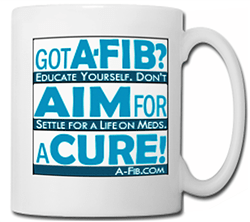 Most A-Fib patients are lacking in both minerals. 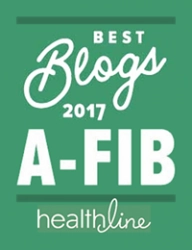 To learn more about mineral deficiencies, see Cardiovascular Benefits of Magnesium: Insights for Atrial Fibrillation Patients.